Although our location is ideal for having maximum space/privacy and is only 5 miles from our last location, it is on a private lane that other residents use to access their properties. 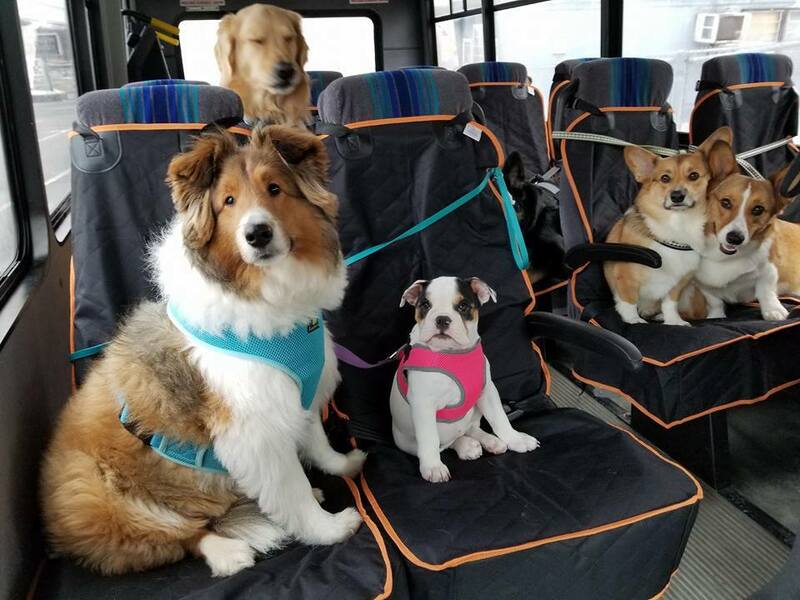 To avoid disrupting our neighbors and to make it more convenient for customers, we offer complimentary doggy shuttles that have their “bus stop” right off of East Pleasant Valley Boulevard at the Quick 'N Easy Auto Station across from Greenwood Pools and Spas. Aside from our meet & greets/facility tours - we do all of our doggy drop off and pick ups at our bus stop M-F at either 7-9am or 4-6pm. For boarding dogs, we offer a Saturday morning shuttle at 930am and a Sunday evening stop from 5-6pm. Our vehicles are climate controlled & maintained/inspected regularly to be fully equipped to take your pup safely to our little slice of country heaven! We take the responsibility of transporting your babies seriously; along with our extended insurance policy that includes our pet taxi service, each bus has recently been outfitted with a safety gate as an extra precautionary measure for your peace of mind. 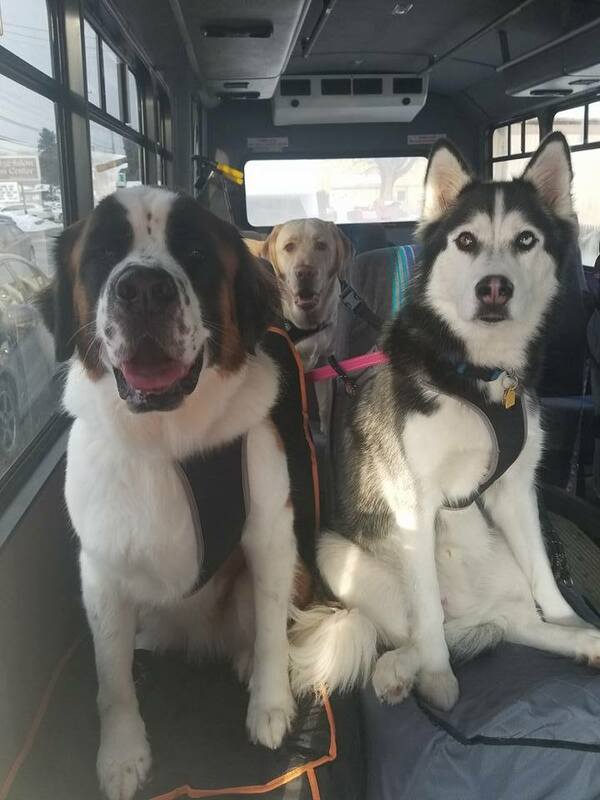 Our buses offer secure rides in carriers (up to Great Dane height) or seat rides with a safety harness & seat belt clip. 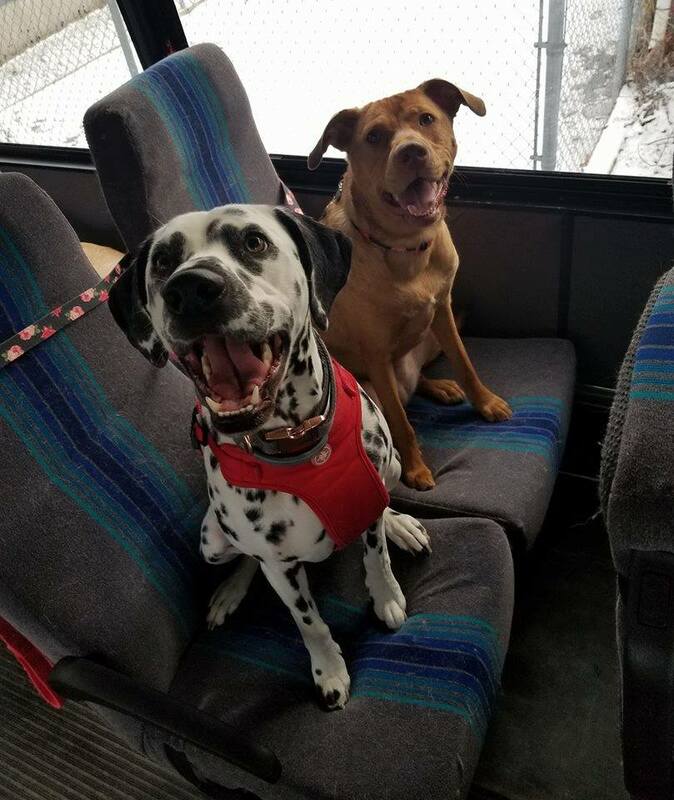 To ride in a seat, we ask that your dog be wearing a snug-fitting harness with a back clip so that we can safely secure your dog in their bus seat. Please label leashes/harnesses to prevent confusion matching dogs to their belongings, as we take their harnesses off when we get to the facility so that they can run and play freely.